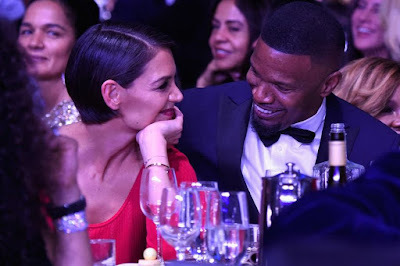 Their romance has been carefully shielded from the public eye but Katie Holmes and Jamie Foxx look set to make it official with a romantic – and celebrity-packed – Paris wedding. Katie and Jamie have been dating since around summer 2013. They were photographed dancing together and looking very loved-up in celebrity retreat The Hamptons, New York state. They finally went 'public' in September 2017 when they were pictured holding hands on the beach in Malibu, and attended the Clive Davis pre-Grammy Gala together in February this year. But now, sources say, they are set to host a gala wedding and invite A-list pals such as Beyoncé and Jennifer Lopez and supermodel Heidi Klum. The precise date has not been announced but it is Katie’s birthday on December 18 and the possibility exists that she’s planning to make the day a double celebration. According to Closer magazine, a friend of the couple says it will be “one of the biggest showbiz bashes of the year” with Katie’s 12-year-old daughter Suri Cruise performing maid of honour duties. Suri is Katie’s daughter with Tom Cruise, to whom Katie was married from 2006 to 2012. When the marriage ended, unconfirmed rumours swirled that Tom had insisted that Katie didn’t date anyone else for five years as part of the divorce settlement. 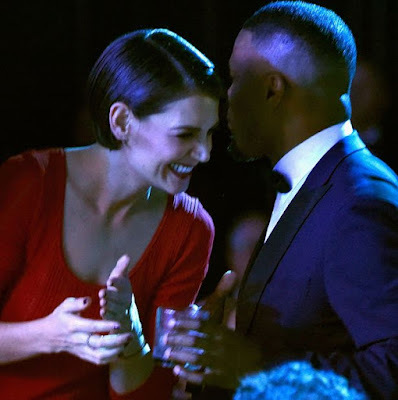 Jamie – real name Eric Marlon Bishop – has two daughters from his previous relationships; Corinne (24) from his time with girlfriend Connie Kline and Annalise (9) whose mother is Kristen Grannis.